Dr. Morris has been serving the Texas Hill Country and its surrounding areas in the care of Sports Medicine and orthopedic surgery since 2001. With his office in Kerrville, he has established himself as a respected member of the community and a valued medical specialist in the greater Hill Country area. He has been board-certified in orthopedic surgery since 2003 and is board certified in Sports Medicine since 2009. A Texan through and through, Dr. Morris was born and raised in Dallas, Texas. He played football and baseball in high school and went on to play four years of college football while attending the University of Pennsylvania in Philadelphia. He graduated with a BA in “Biological Basis of Behavior” in 1992. His studies peaked his interest in, and solidified his dedication to what had already been a lifelong dream: medicine. He returned home to Texas for medical school and earned his medical degree from the University of Texas Medical School at Houston in 1996, graduating 9th in his class and now officially adding “MD” to his name. Dr. Morris interned in general surgery at the Methodist Hospital System in Memphis, TN and completed his residency in orthopedic surgery at the University of Tennessee at Campbell Clinic. After his residency, Dr. Morris took and passed the written and Oral Board examination in General Orthopedic Surgery in 2003. Dr. Morris took and passed the sub specialty board in sports medicine in 2009. He earned his combined re-certification in Orthopaedics and sports medicine in 2013 and that is valid until 2023. 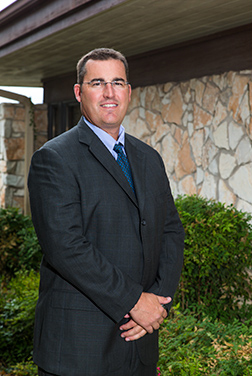 In 2001, Dr. Morris settled in the Texas Hill Country and began work at Peterson Regional Medical Center in Kerrville and was named Chief of Staff in 2007. Also in 2001, he established his own private practice in his hometown to better serve the area. His own love for sports paired with his work with a wide spread of athletes inspired him to deepen his knowledge and further specialize in Sports Medicine. In 2009, he obtained the American Board of Orthopedic Surgery Sub Specialty Certification in Sports Medicine. Dr. Morris works with high school, college, and professional athletes to optimize their training, reduce the risk of injuries and chronic conditions, and cut recovery time after medical procedures. He and his team are committed to providing the highest level of care and friendly service to all their patients. Contact our office to schedule an appointment or call 830-895-4466.